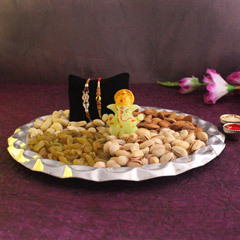 The moment has arrived when you need that special token of love to impress your dearest brother and make them feel immensely loved and cared. 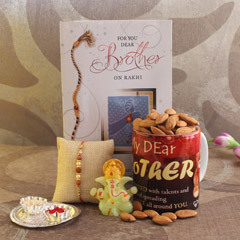 The moment has come to surprise brother with best Rakhi gift. 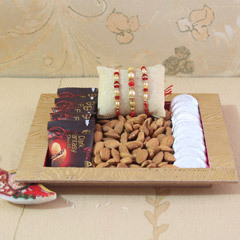 And, this is what you need to make that moment special for both your dearest brothers. 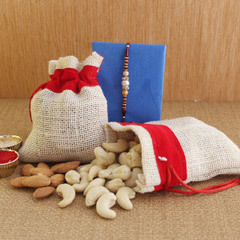 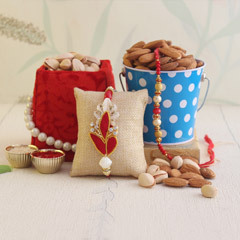 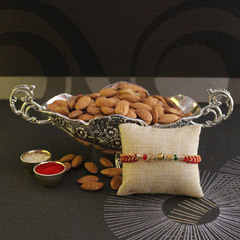 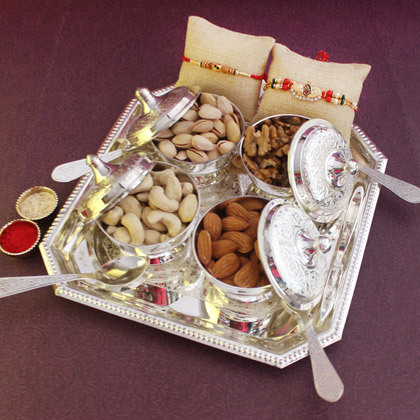 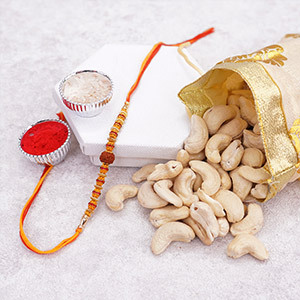 So just look no further, hurry to buy this wonderful gift of healthy dryfruits, attractive bowl set with beautiful Rakhis to prettify wrists of brothers.